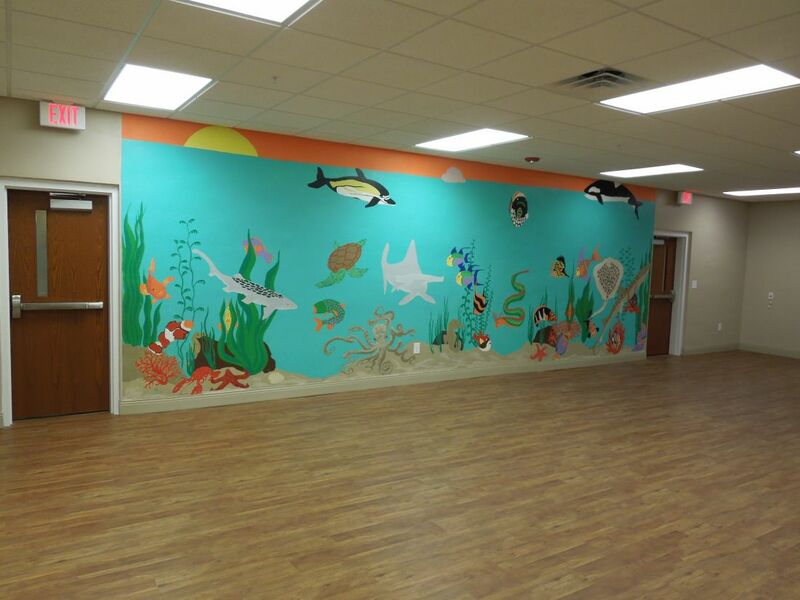 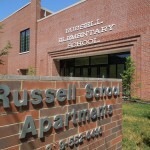 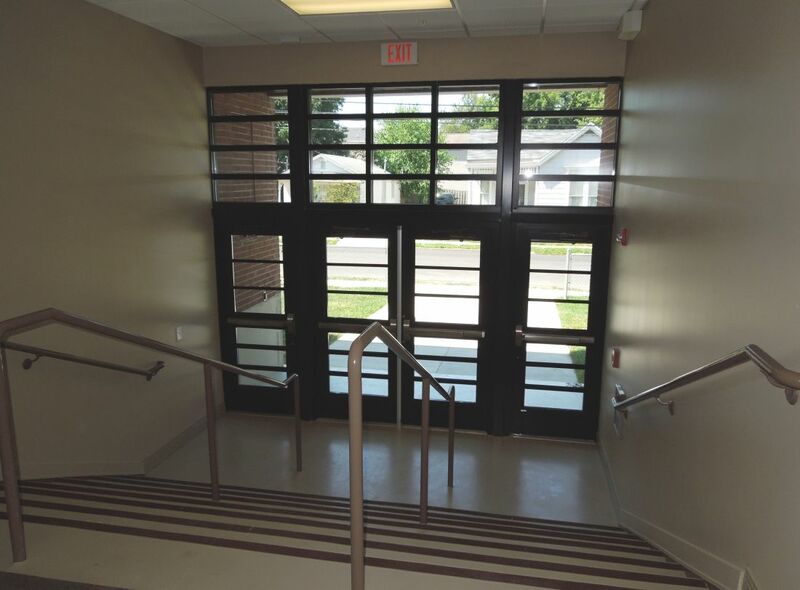 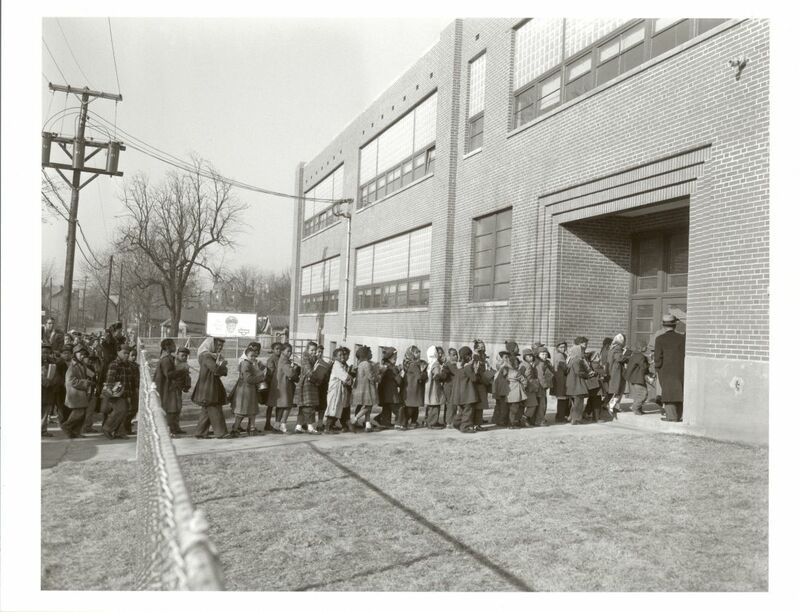 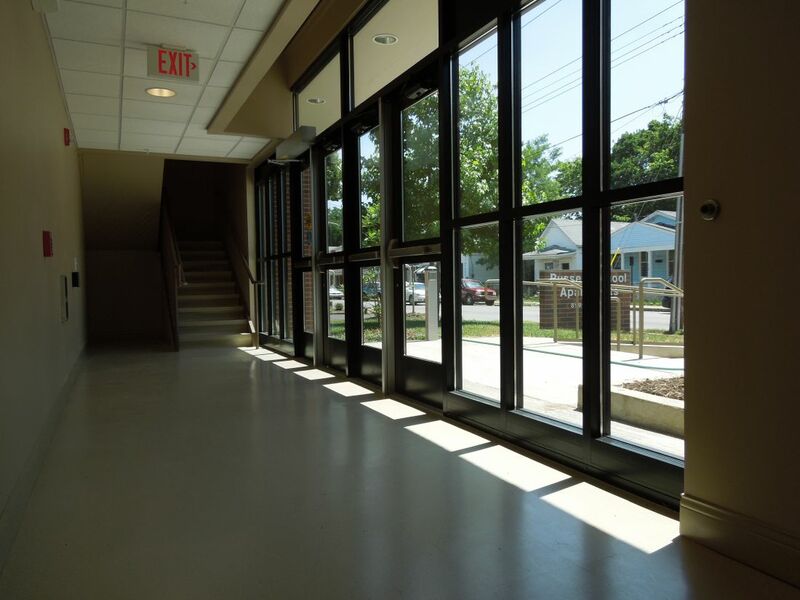 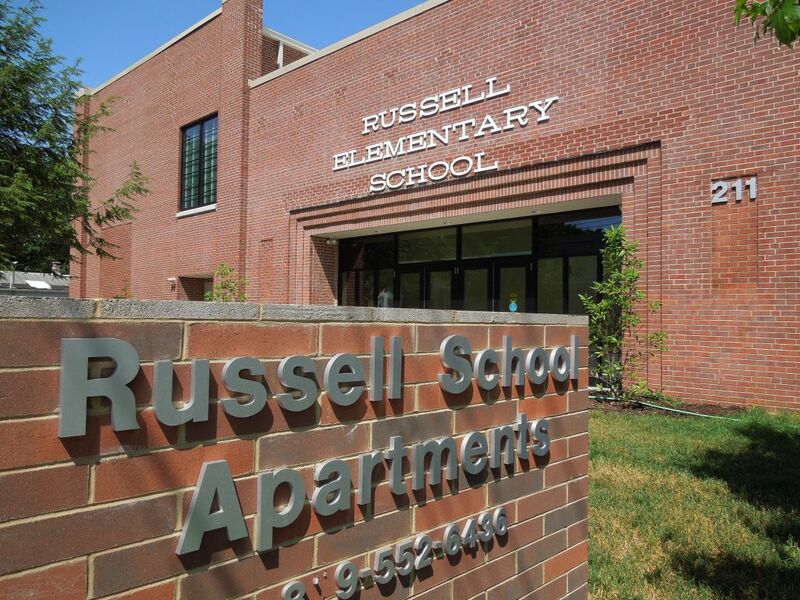 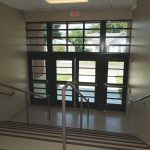 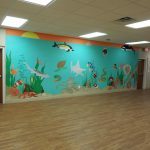 The historic, two-story, 46,000 square foot Russell Elementary School was transformed into a mixed-use occupancy community center, Head Start headquarters and classrooms, and residential senior housing units. 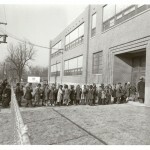 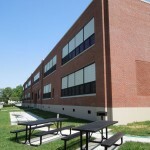 The former school dates back to 1954 and has been placed on the National Register of Historic Places. 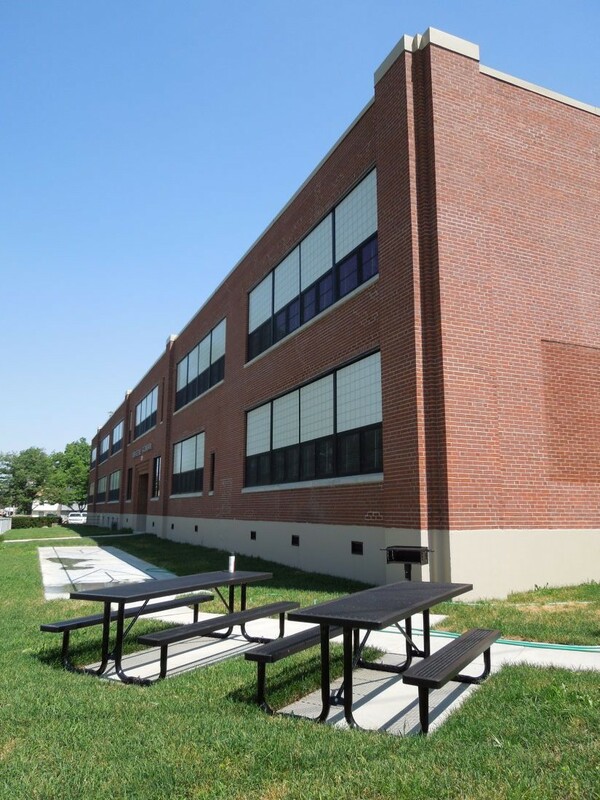 Rehabilitation of this building required returning the facade to its original design and meeting all guidelines established by The Secretary of the Interior Standards for Rehabilitation. 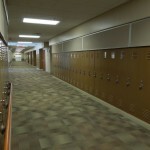 The existing lockers continue to line the hallways as another way to preserve the school history of the building. 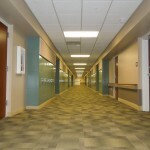 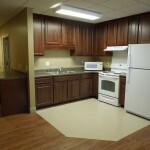 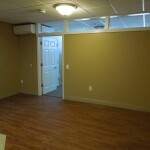 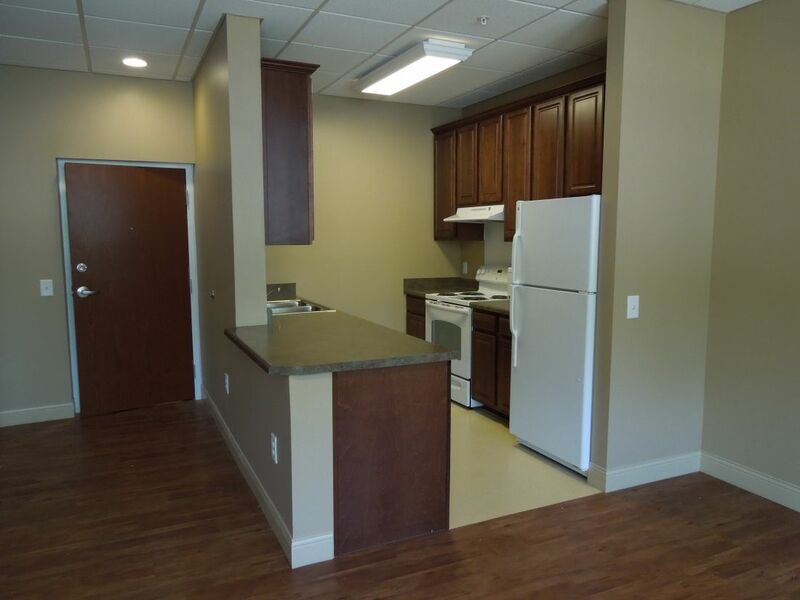 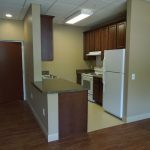 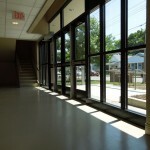 Constructing the senior housing units was the third and final phase of this project. 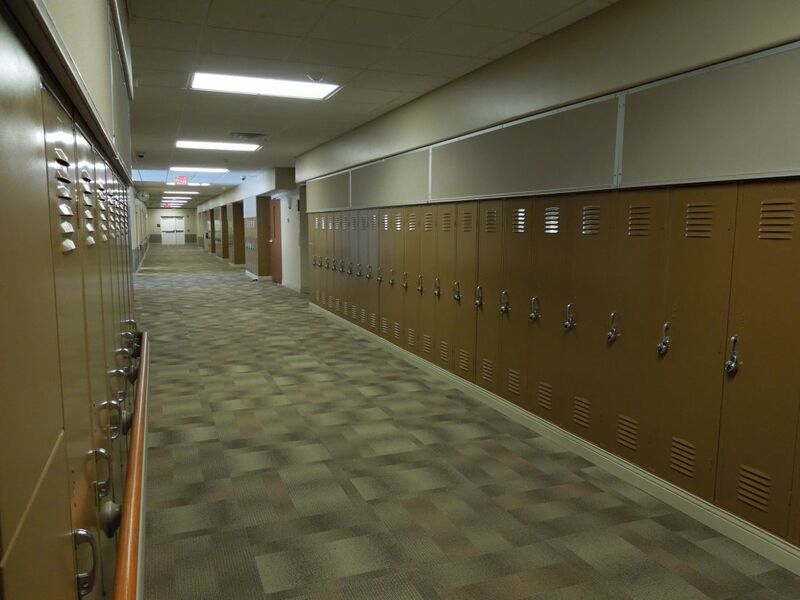 The 27 senior apartments were constructed in the previous gymnasium area of the school, and each include one bedroom, bathroom, a living room, and full kitchen. 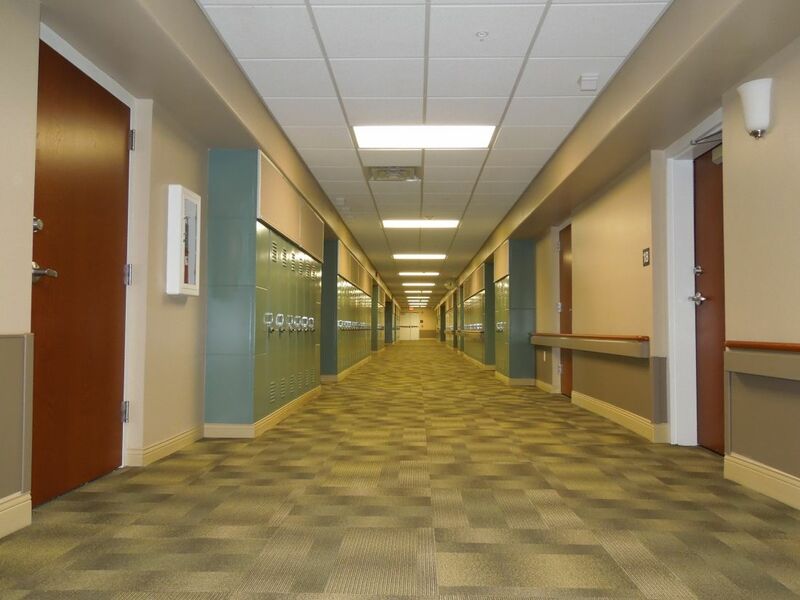 For variation and clarity for the tenants, each floor’s corridor and lockers were designed and painted in different color schemes. 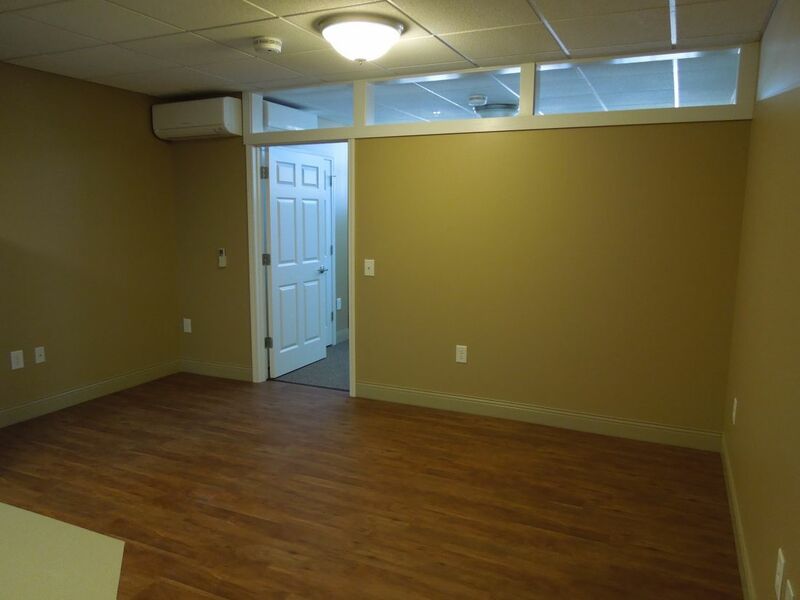 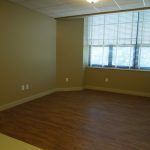 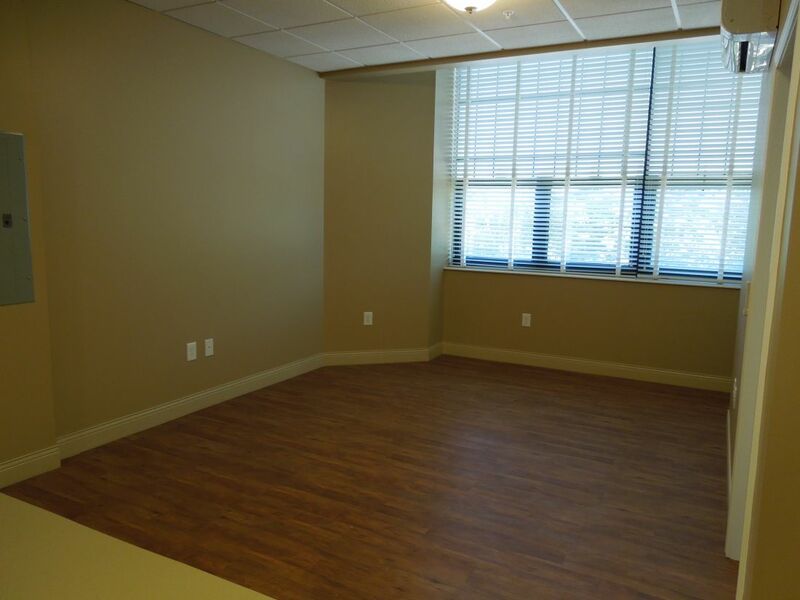 Common areas include a community room, manager’s office, a laundry room on each floor, and an outdoor picnic area with grills and shuffle board. 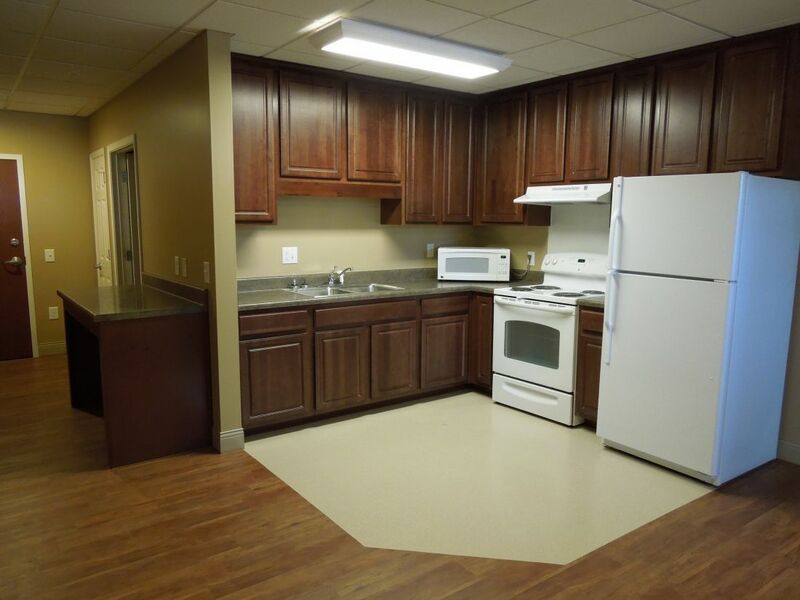 Funding for this project included Kentucky Housing Corporation Tax Credits, Historical Renovation Tax Credits, HUD 202 funding, and funding from Federal Home Loan Bank.